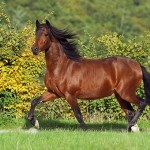 Alternative Names Peruvian Horse, Peruvian Stepping Horse. 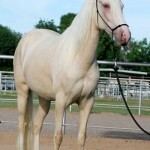 Temperament/Personality Docile, gentle, responsive, willing. 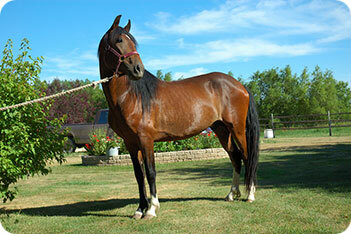 Physical description Sturdy, muscular, powerful build; deep chest; strongly arched neck; short back; quiet tail. 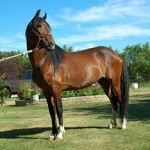 Stallions possess larger neck and broader chest than the mares. 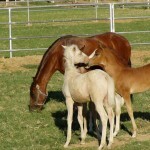 Colors Chestnut, brown, black, bay, buckskin, gray, roan, dun or palomino with white markings on the legs and face. 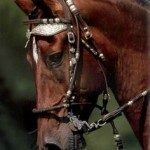 Common Use Pleasure riding, parades, horse exhibitions, dressage shows, trail and endurance riding. 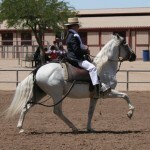 Gait Four-beat, lateral gait (known as paso llano) — left hind, left fore, right hind, right fore. Popular Traits Balance, smoothness, brio, endurance. Feeding/Diet Hay, grain, grass, shrubs. 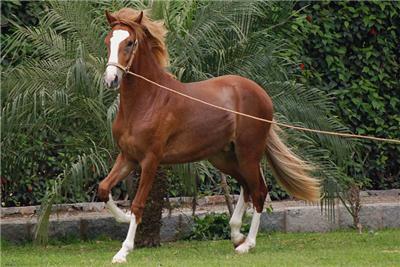 The pedigree of the Peruvian Paso goes back to the Spanish Jennet, noted for its ambling gaits. 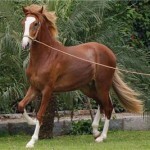 Other breeds like the Barb and Andalusian also contributed to its stamina, strength, style, action and conformation. 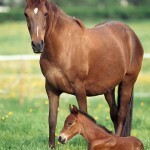 The first major export of horses to the Americas took place in the 15th century; and the shipment experienced a surge in the middle of the 16th century. 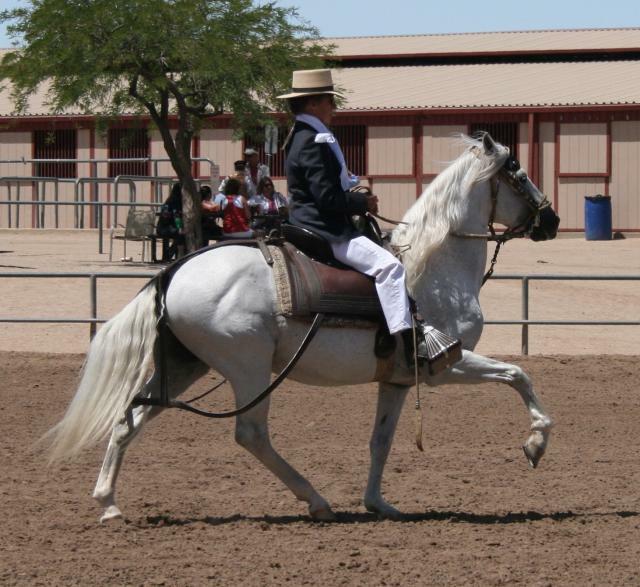 The Peruvian Paso was mainly produced to deal with the need for comfortable and easy ride, especially for traveling long distances and overseeing plantations. 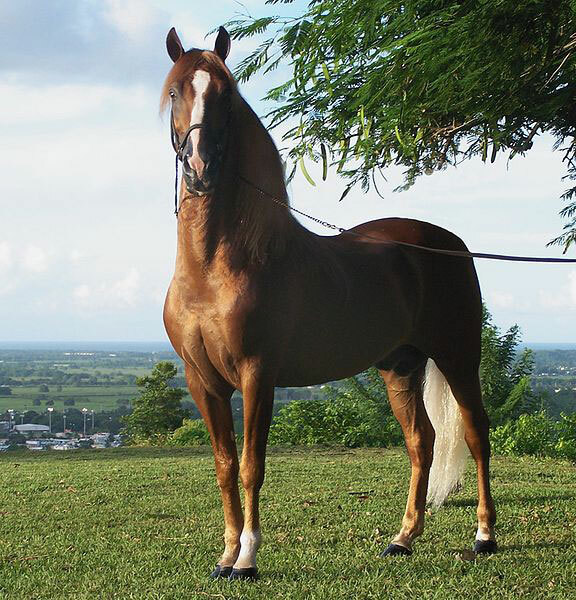 For centuries, breeders in Peru kept the bloodline clean as they selectively bred to keep the gait, temperament and conformation. 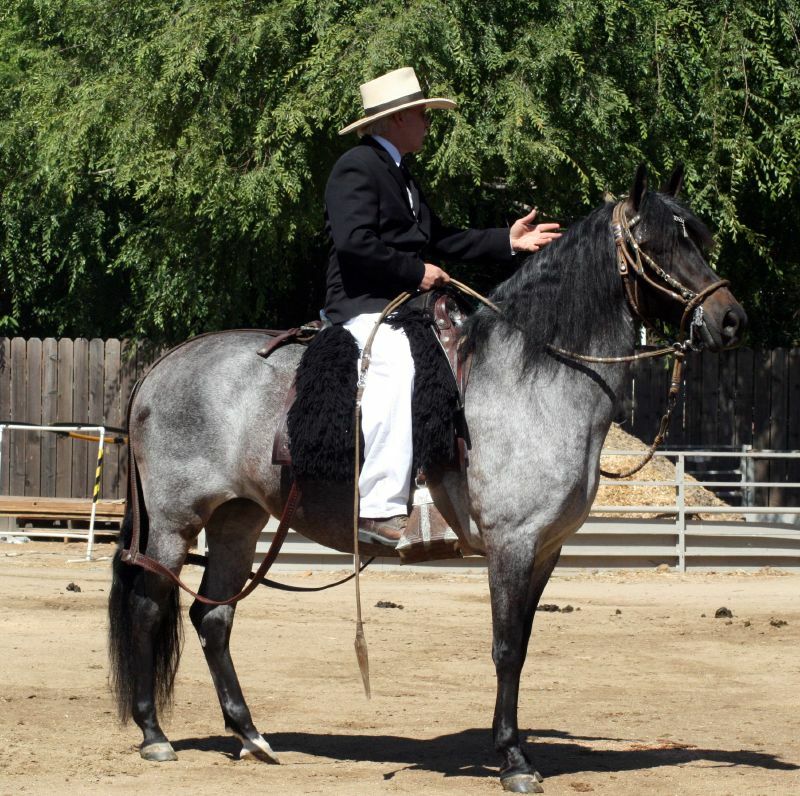 They only bred best gaited individuals that resulted in modern Peruvian Paso. 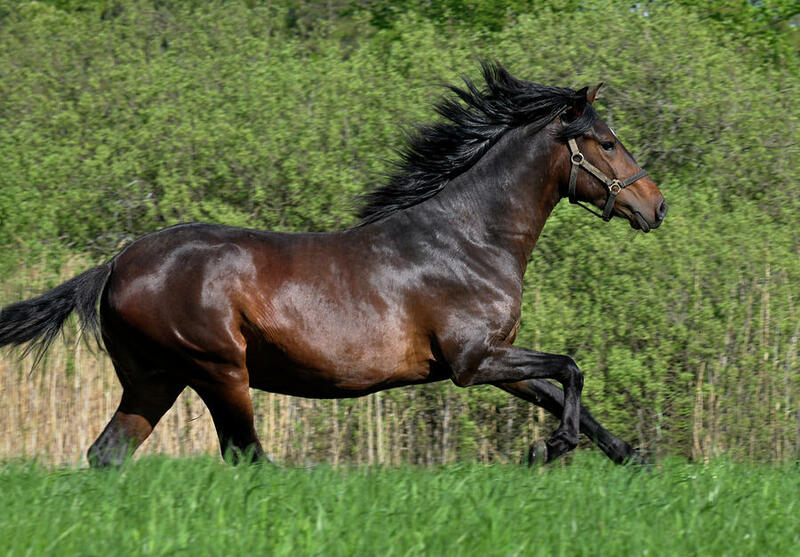 The breeders did not feel any need to cross it with other breeds for producing taller, faster and heavier horses. With major highways and surge in motor traveling, the use of Peruvian Paso as transportation mode saw a huge decline in southern Peru from 1900s, but its uses were still good in the northern part of the country. 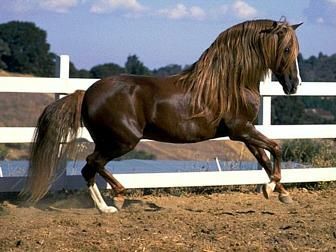 However, in the late 1960s the breeding of Peruvian Paso had a ravaging effect with the introduction of Agrarian Reforms by the government. 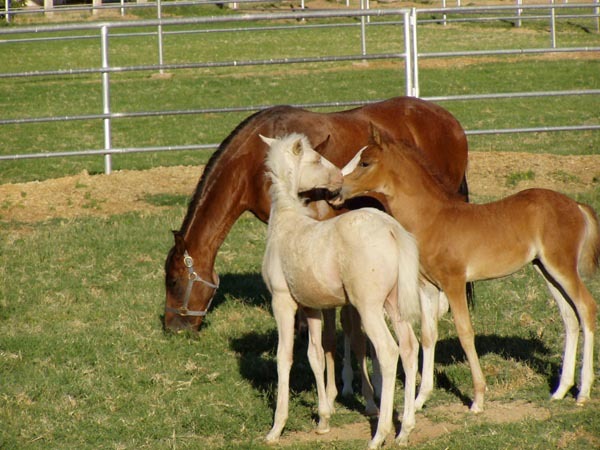 As a result, major breeding ranches shut down and the breeding stock was lost. 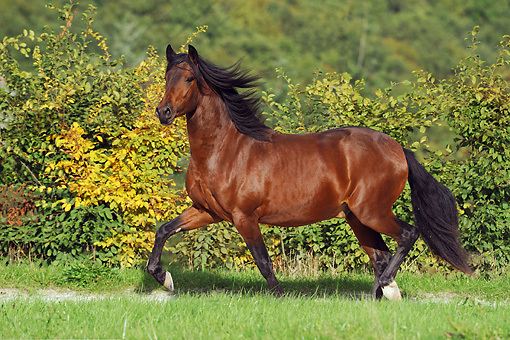 Many of the finest individuals were exported to the United States and Central American countries, causing many experts to believe that the Peruvian Paso might have perished in its birthplace. 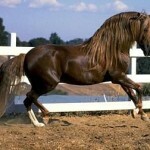 Interestingly, this breed has gone through a great resurgence in Peru in the past thirty years. 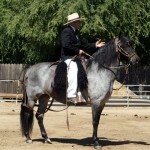 Because of the word “Paso,” often people mistake the Peruvian Paso and Paso Fino as the same breed. However, these two breeds are easily distinguishable. The Peruvian Paso is protected by the Peruvian government since November, 1992. 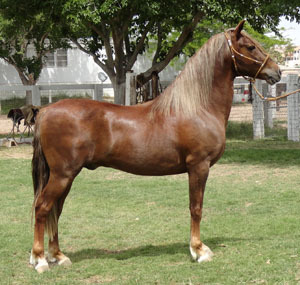 Peru’s National Institute of Culture declared this breed as a national cultural heritage. DSLD (Degenerative suspensory ligament desmitis), a connective tissue disorder, was first notated in Peruvian Paso. Once it was thought to be the result of old age and overwork, but now it is described as hereditary. 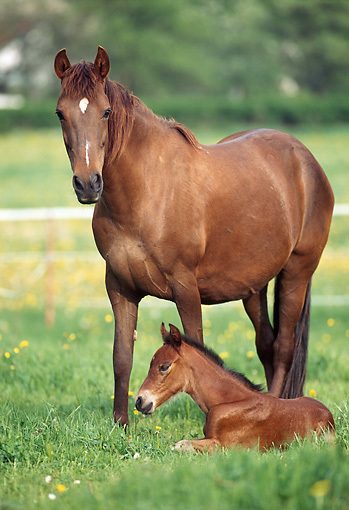 It is also called Equine Systemic Proteoglycan Accumulation. 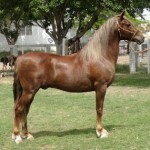 Association of Breeders and Owners of Peruvian Paso Horses organize several competitions involving this breed. 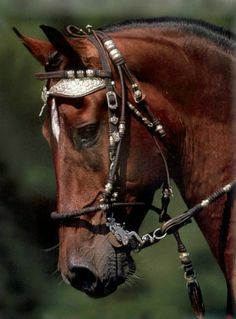 The National Horse Competition Caballo de Paso Peruano is arguably the best-known event among others. 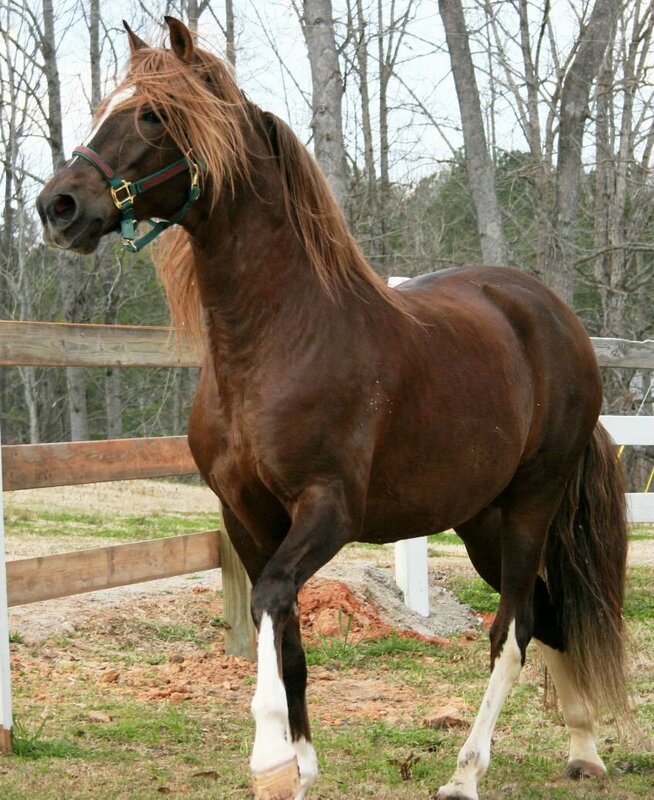 I’m looking for a Black Peruvian Paso Horse picture. 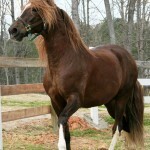 The black horse would have a white mane and tail. Four white stockings and a blaze or star would be even nicer. 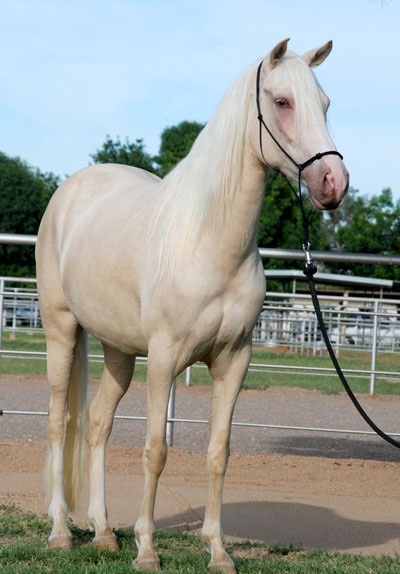 I can’t find this anywhere but I’ve seen the color in this breed before. I’m an author and need this for a cover for one of my novels. Any help would be sincerely appreciated.